Are you looking for the closest thing on Earth to paradise? 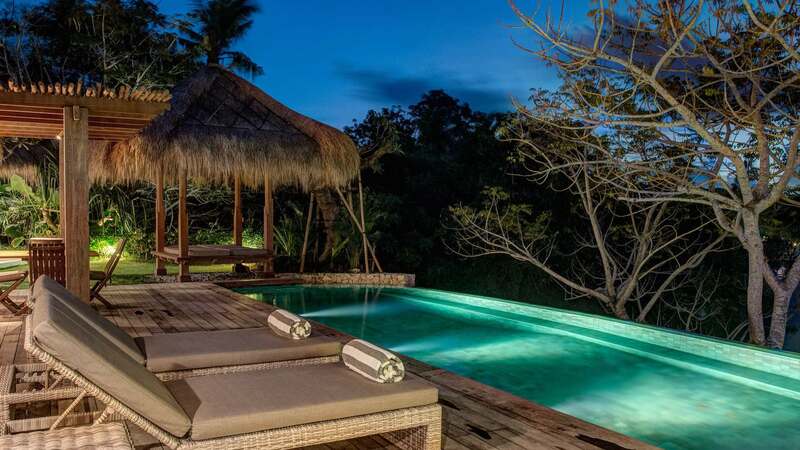 Villa Sayang, Nusa Lembongan is a private beachfront villa with 100 metres of ocean frontage, 2 incredible infinity edge swimming pools and offering 6 luxuriously appointed bedrooms all with private ensuites. 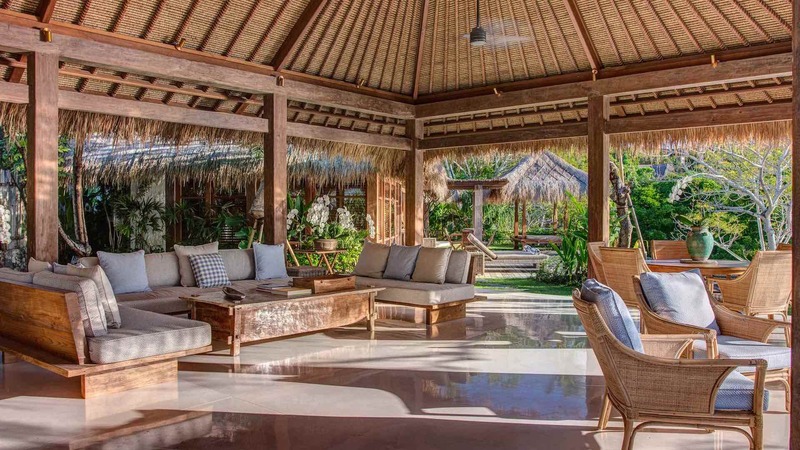 Find all this and more at the magnificent Villa Sayang. 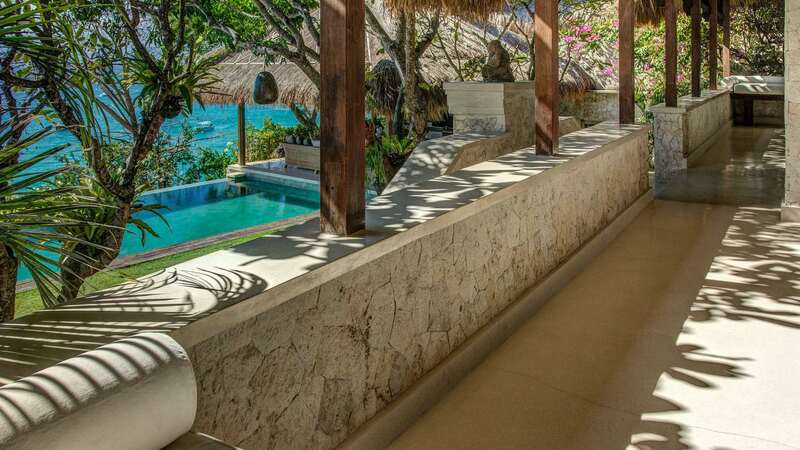 With wonderful ocean views from your balconies and verandahs, the villa contains 3 luxury king-size bedroom suites and 3 super-king single twin rooms (which can be converted to king beds). All the rooms are exquisitely appointed and amenities include: Bose speakers, TVs in master suites, beautiful linen, safety deposit boxes, kimonos and hairdryers. 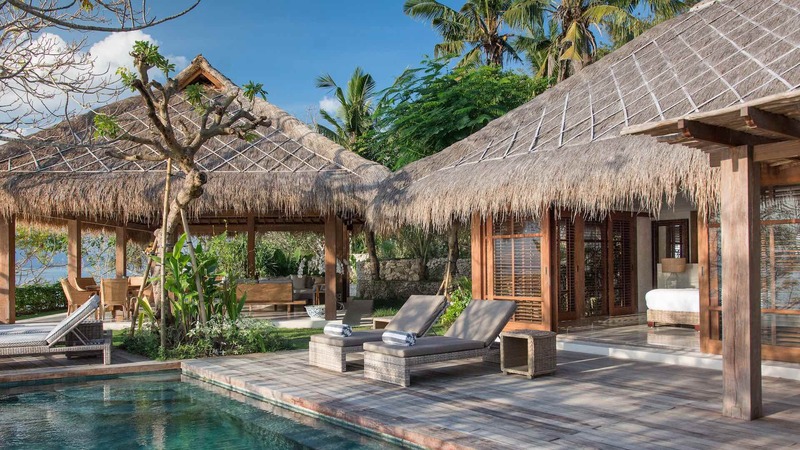 The villa consists of three exquisitely designed spacious outdoor living bales, together with a fourth smaller pool bale. Coupled with these is a wonderful choice of different areas for dining and relaxation. A wide variety of Indonesian and Western cuisine is available and prepared by our highly-trained and friendly staff. All meals are available at the villa and traditional Risjttafel banquets can be provided upon request. 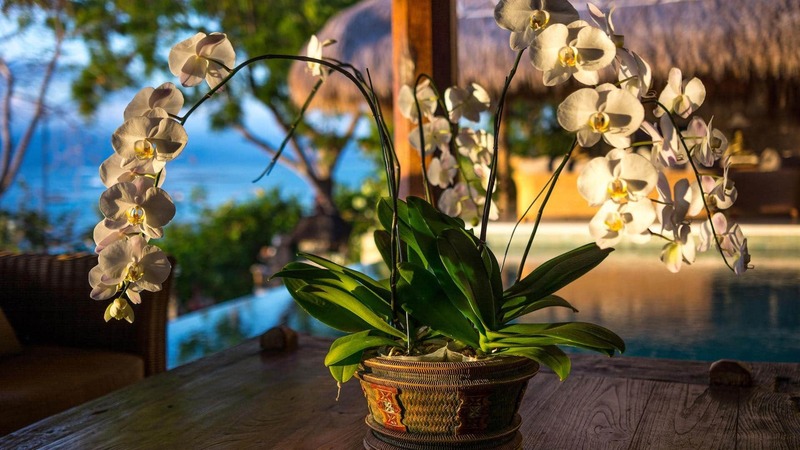 Indulge in an array of treatments from Villa Sayang’s very own experienced in-house massage therapist. Relax, unwind and let us pamper you in the privacy of the villa. 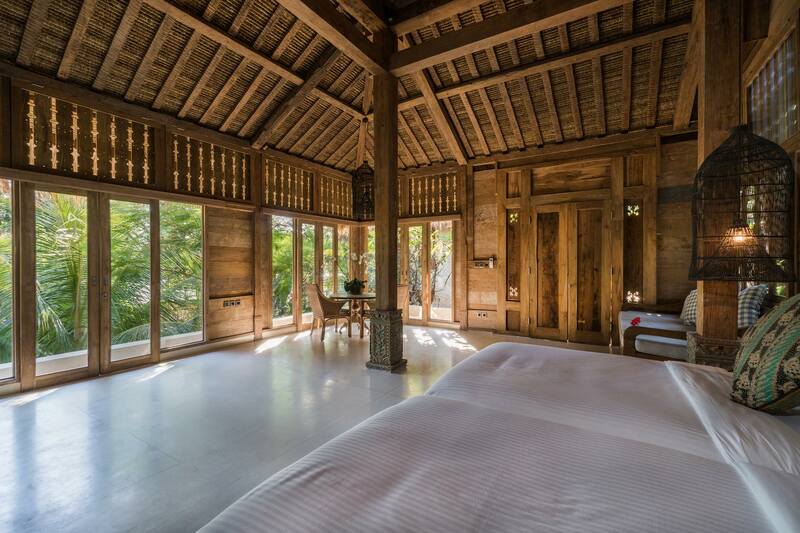 For those into Yoga, daily classes are available in the privacy of your own villa (advance bookings are essential). Our expert Yoga teachers come to you and together you can practice either poolside overlooking the ocean or on our beachfront sun deck. 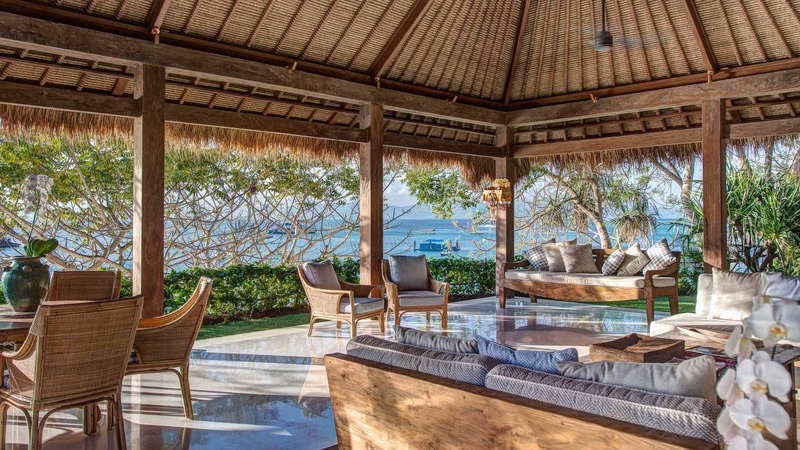 The islands of Nusa Lembongan and Nusa Ceningan are fantastic playgrounds for anyone into water activities, and the staff at Villa Sayang can provide you with all the equipment and transportation you need. The island is home to four major surf breaks. Two of these, Playgrounds and Lacerations are within paddling distance from our villa. Snorkelling and diving are extremely popular. Swim with the manta rays and ocean sunfish. Your stay at the villa includes complimentary use of our snorkelling equipment. Our friendly, experienced staff can take you to snorkelling and surfing spots aboard the villa boat. All transfers to surf breaks and nearby snorkelling locations are complimentary. Staff can arrange SUP board hire and surf lessons on request. Nusa Lembongan Island and Nusa Ceningan are home to four major surf breaks which can be surfed all year round. Two of these, Playgrounds and Lacerations are within paddling distance from our villa. The surf breaks offer different options depending on conditions and the surfers ability. Surfboards can be hired as required. Exploring the island is guaranteed to be day of fun and adventure. Of course, you can walk and take in the scenery. Alternatively, golf buggies and scooters (for the more experienced) are also available. Our 36ft catamaran is available for private charter to visit the nearby Nusa Ceningan and Nusa Penida and the many beautiful snorkelling bays. To complete the day, our experienced and friendly staff can prepare delicious food and refreshments to enjoy. The crystal clear waters of Nusa Lembongan provide a snorkelling and diving paradise. We can assist you with everything you need for your underwater adventure. The island is renowned for the magnificent world-class diving and snorkelling and is home to the famous mola mola or oceanic sunfish. These are most common in July and August. And as for giant manta rays, well, you will see them almost daily. Our staff can organise snorkelling day trips on our private boat. Transfers to the surf breaks and nearby snorkelling spots are complimentary. There are a number of PADI certified dive schools with English speaking instructors who will be able to guide you on your Lembongan based diving adventure. Diving equipment is available to guests on issue of a PADI certified dive ticket. Diving expeditions can be organised privately or with groups. Enquire regarding low season discounts. Request a reservation and we will come back to you very shortly.